From The Do-Gooder Blog one of the AWESOME blogs who nominated me! Click for post. I was nominated for Liebster Award by 2 lovely bloggers Pish’s Blog of Loveliness and The Do-Gooder Mama. 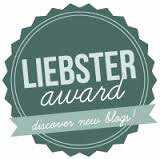 The Liebster award is an award for blogs with less than 200 followers for the writing. I am honored such a great writers would consider me worthy of such an award. Both Pish’s Blog of Loveliness and The Do-Gooder Mama have great posts from personal excerpts and shorts and The Do-Gooder Mama always has brilliant, freaking brilliant, ideas about to make a positive impact on the world. I was nominated almost 6 weeks ago now by Pish’s Blog of Loveliness, which is a HORRIBLE response time, so for that I apologize and last weekend by The Do-Gooder Mama. Its tax season took its tole and I am just now getting back on my feet. Lately my time seems to run away from me especially since I am supposed to find 11 bloggers to give the award to. And while I follow some pretty amazing blogs, I wanted to be intentional about who I gave the award to. Not to mention, sometimes it is hard to figure out how many followers some of you have! So, if I nominate someone who has more than 200 followers – just know it is because I really enjoy reading your blog and you are fantastic! 1. What are your hobbies, other than writing or blogging? My kids and cooking are definitely passions or hobbies of mine. I am trying to make fitness and health a part of my life as well. Since having my twins 6 years ago, and the ‘baby’ 2 years ago, my weight has ballooned and I need to make a change if I am going to be effective in other areas of my life. 2. If you could be a bird, what kind would you be — and why? I think I would most like to be a Cardinal or a Blue Jay. They are so colorful and spry. I always see them flitting about. They look so happy. 3. What is your least favorite household chore? It might be a shorter list to say what I don’t mind doing, haha. I really don’t like doing dishes. I adore cooking, but dishes, blech! It ruins my nails and drys out my hands. By the time the kids are fed, its hard for me to get the energy or will up to wash the dishes, even if its mostly rinsing and loading the dishwasher. 4. Do you prefer typing on the computer or writing long-hand first and then typing? Sitting on a beach somewhere with LOTS of sun! Anywhere, really. But I have had a ton of fun in Mazatlan and wouldn’t mind exploring other parts of Mexico or Spain. 6. Do you watch TV, and what’s your favorite show? I don’t really watch TV. I got rid of cable about 2 years ago and my TV isn’t digital, so it doesn’t pick up any of the local channels on the antennae anymore. Before I stopped watching TV though, Sons of Anarchy was a favorite as was Bones, Burn Notice, reruns of Star-Trek Voyager and Big Bang Theory. 7. Coffee, tea, or hot chocolate? Yes. Depends on the mood. If it is late at night, I will drink decaf or herbal tea. If it is the holidays, I love a good cup of hot chocolate. If it is early in the morning or I need a quick pick-me-up to get over a sleepy spell, I definitely will drink a quick Latte! 8. What’s your favorite childhood memory? I have so many. I remember the first time my oldest brother took both my little brother and I to a water park. Funky Town was playing on the radio and we had a blast. I also remember receiving a delivery of balloons to my classroom as a 3rd grader for my birthday, that was AWESOME! I remember selling Girl Scout cookies door to door with my mom. And, now that I am a mom, I realize what she was doing – giving up her time, walking in the rain, teaching me invaluable lessons. I also remember riding with my dad on his Harley when I was in high school, and exploring different parts of Europe while I was stationed with my family in Germany during high school. 9. Do you prefer black ink, blue ink, or another color in your pen? Blue, always blue. As an auditor, I can take a photocopy of an original document, and tell which is which by the color of ink. Hazard of the job, but Ive been known to track down the pens I leave lying about at work. What annoys me most about blogging or life on the internet is how people can be mean to one another. Just because one mom chooses to bottle feed or another mom chooses to breastfeed until the kid is 2, those are choices that work for that family. We need to stop judging and offer advice only when its asked for. People need to stop being so mean. 11. Do you have any phobias? 1. What musical artist are you listening to these days? 2. If you could be any animal, what would you be? Why? I would SO be a cat so I could curl up in a spot of rare NW sun and purrrrr all day long. That and cats are extremely flexible, so much so than I can ever be in real life. 3. What do you say when your (or someone else’s) kid asks you why the sky is blue? Where? The sky is blue today? Awesome! (NW joke) Really, I say I will have to google it since I grew up thinking it was a reflection of water or some other dumb thing. But the water around here is kind of steel grey. If I’m paying: Pizza and wine or anything made with roast chicken. If it’s on someone else: steak. 5. If $$ were no object, where would you travel on your next vacation? The south of Spain, heck anywhere in Spain, for 6 months. The money part of missing work being covered too, right?!? I spent 6 months there during college and have always wanted to go back. 6. How do you like your eggs? Gotta be hard scrambled. I can’t handle yolks or soft runny anything, makes me think of a really bad sinus infection. (TMI) but total yuck unless they are scrambled. Sometimes Im such a kid. 7. Favorite Reality TV Show? I don’t really have a fav reality TV show. We cut off the cable 2 years ago now and my TV is leftover from the college days and doesn’t have a digital converter. So, I guess my fav reality TV show is just my life. 8. What was your very first job? Blogging – thinking I know what Im doing when Im really just making things up as I go along. And trashy romance novels, but they are on my eReader on my phone, not next to the bed. 11. At what age is your earliest memory? I remember moving to Washington after my little brother was born. I remember the REAAAAALLLLY long drive from Arkansas and asking my dad a lot of questions about the house. How big was it? Did it have stairs? When what I really wanted to know was if I was going to get my own room. I was almost 3; I didn’t get my own room. I was also very disappointed he told me there were stairs when it was 1 step up to the house. I really enjoy a glass of red wine at night. My guilty pleasure in the evening is to read a romance novel with a glass of wine. Or, hitting snooze a million times before I can’t possibly be any later in the morning. As a kid I used to dream of being a singer or dancer on stage, but was always too shy to actually perform in front of people. I have 3 wonderful boys but wouldn’t mind having a little girl one day. I NEED to buy patent red leather shoes for a toddler. I was not a great teen to my mom, but I think my mom and I have gotten through that. I have lived in Europe twice. Once while in high school while my dad was stationed in Germany and once in Spain while in college. I have 4 brothers and am the only girl in my family. All our names begin with ‘L’. I have a weakness for great shoes, but love to be barefoot as much as possible. I hope you accept and pass on the award because it was really hard/fun thing to do. I’ve had to be intentional, learn more about the WordPress interface by searching down all these marvelous people because you are worth it. What was your favorite time with your bestie? What was your an embarrassing/awkward moment that you laugh about now? If you were to win the $300 gazillion-dollar lottery, what would be the first 3 things you would do? Can’t leave my house without _____? If you were a super hero, what would your name be and what would your powers be? Congratulations! Thinking about adding a fourth, huh? I have three girls, and while there are days when I’d love to add to the family (probably through adoption–I can’t even think about another pregnancy), I think my husband would freak out. Thanks so much for your incredibly kind review of my blog. 🙂 I am so impressed that you answered 2 sets of questions and so thoroughly! I agree it was a really fun and interesting exercise in expanding my “blogging” world. Can’t wait to check out your nominees!